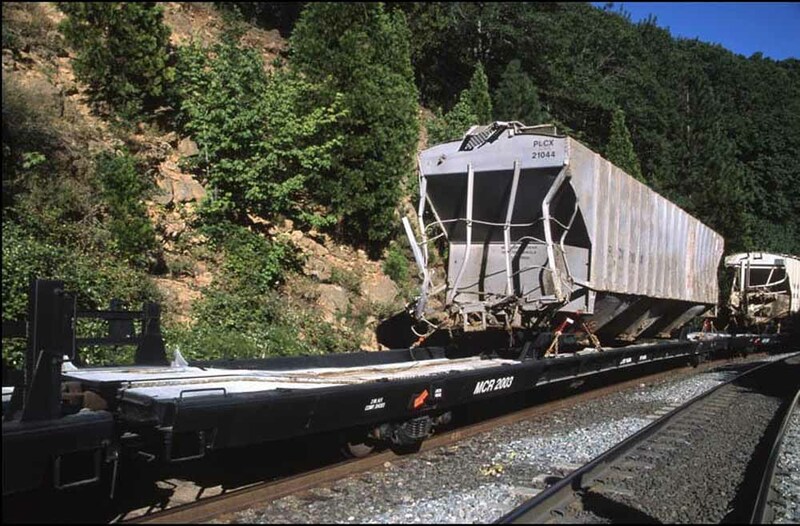 In 1998/1999, the McCloud shop rebuilt seven ex-Canadian National automobile cars into hospital cars, which are usually used to transport wreck damaged railcars that cannot otherwise be moved on their own wheels. The shops removed the carbodies from the frames and then installed bolsters that could be adjusted to handle varying car lengths. 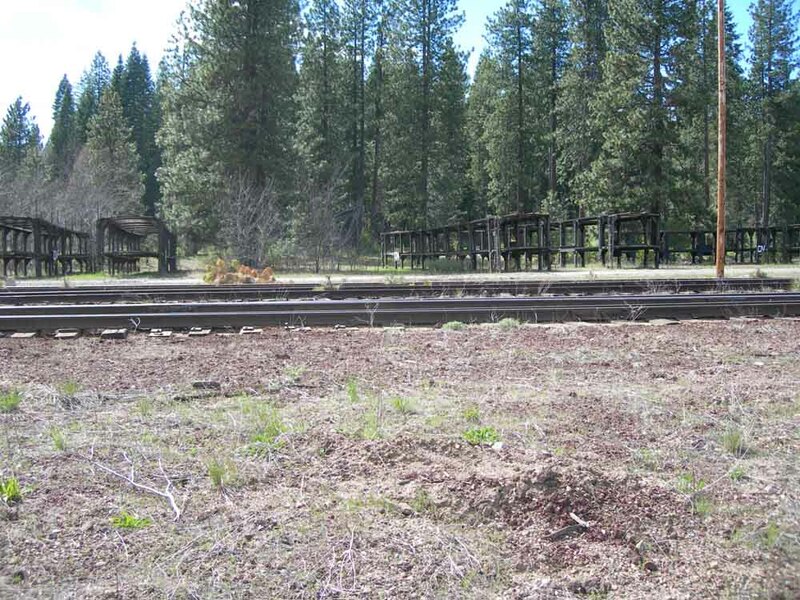 The McCloud Railway used some of the cars on their own wrecks and leased others out to Union Pacific to help clean up a derailment near Cantara Loop. 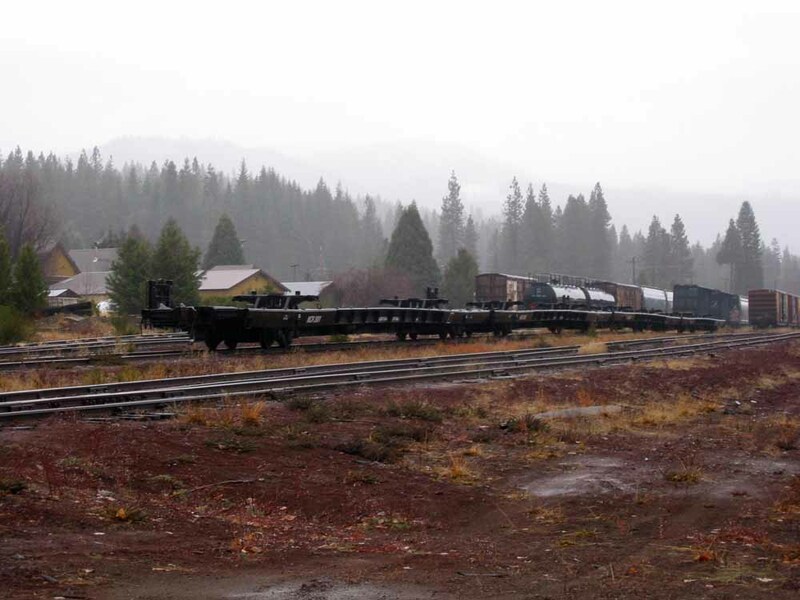 The railroad sold all of the cars except for #2001 and #2003 to Jim Dobbas Incorporated in early 2004, with the remaining two sold to Quality Rail Services by 2006. The former auto carrier bodies removed from the cars during their conversion to hospital cars. Photo by Peter Ely and is from the Drew Toner collection. Photo by Peter Ely and is from the Drew Toner collection. MCR #2003 in the McCloud yard in August 2005. It is carrying ties, rails, and other equipment used to clean up and make repairs after derailments. Jeff Moore photo. McCloud, CA, 5/2003. 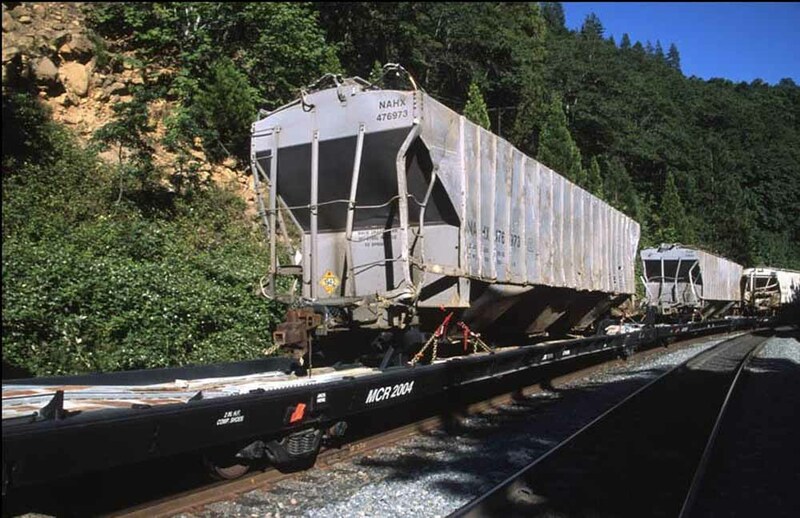 Several of the hospital cars were put into service for the first time cleaning up two woodchip hoppers that derailed east of McCloud. Here is one car loaded with truck and coupler parts from the cars. The #2001 with a woodchip hoppers body resting on it, awaiting movement to elsewhere to be scrapped. Roger L. Titus photograph. 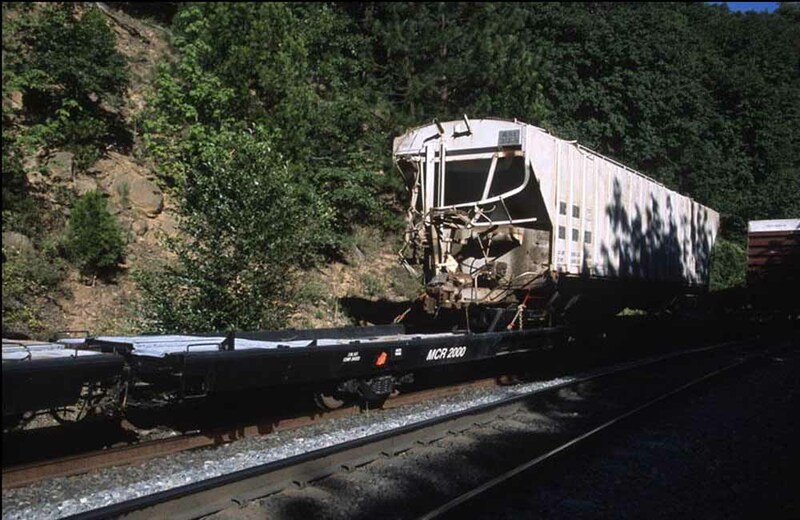 In July 2003 a Union Pacific freight derailed at Small siding, just north of Dunsmuir. UP borrowed a couple of the MCR hospital cars to help with the derailment cleanup. These photos show the McCloud’s hospital cars at Small and were taken by and are presented here courtesy of Ryan Wilkerson (http://www.shastarails.com). 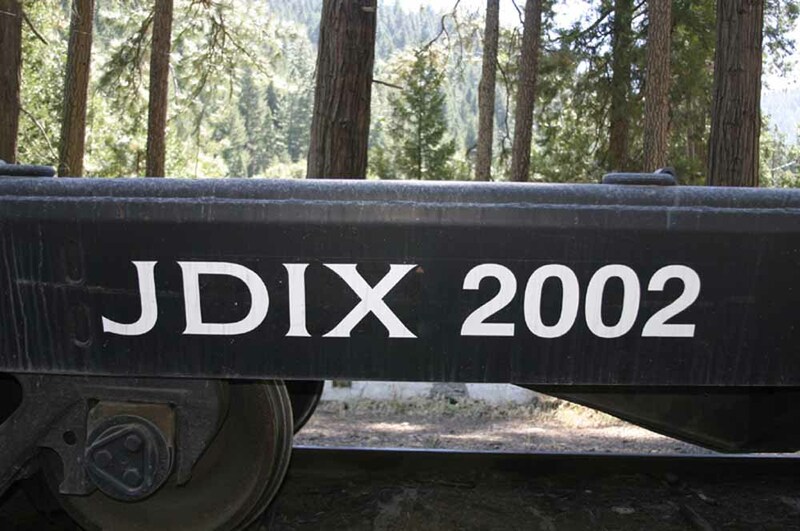 Car #2002 reflecting its Jim Dobbas Inc. ownership on the UP north of Redding. Also a Ryan Wilkerson photo.